You've no doubt taken steps to ensure your safety and your family s from various kinds of worldly calamities. But if you haven't made sure you're properly on guard against temptations, you're setting yourself up for a spiritual disaster of immense proportions. No matter how devoted to Christ you are, temptations are going to come to you. 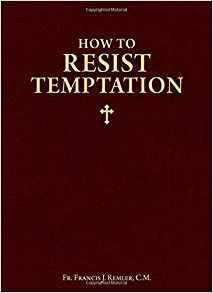 That's why How to Resist Temptation is essential reading for every serious Catholic.